Regenerative medicine using biotherapy and bioprinting is providing much hope for previously irreversible conditions such as burns, muscle damage, and cancer. Cells and cellular environments are extremely difficult to reproduce once they are damaged, and much of regenerative medicine focuses on how to repair what our bodies originally made so easily. 3D cell production, versus 2D cell production, mimics the organic environment of our bodies to produce cells. In biotherapy, living organisms are used as the starter in this process. The complexity in the specificity of our cells is part of why it is so difficult to reverse cell damage. Thus, stem cells are valuable biological material due to their ability to differentiate into any type of cell based on their environment and genetic factors. A stem cell starts out as a blank slate, and by receiving environmental and genetic signals, can become virtually anything in the human body, from a kidney to a blood cell to a muscle in the leg. Placental stem cells are organically derived and the natural byproduct during a birth. Instead of being discarded, they can provide a very important product for placental cell therapy, which helps direct cells toward regeneration and promotes healing. In biotherapy, these placental stem cells can be very valuable for the cell production process. 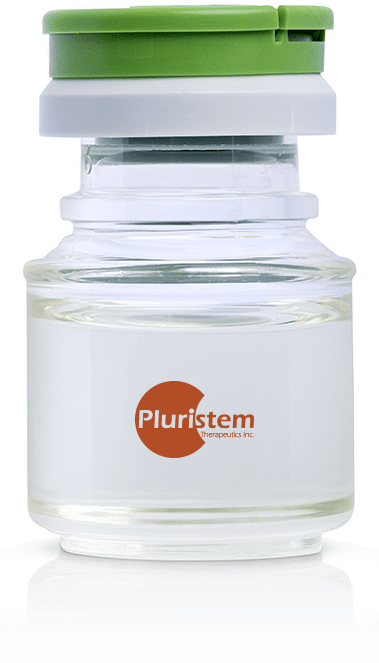 Pluristem, a company quickly gaining international presence, produces 3D cultured placental stem cell therapies for various conditions. The company uses a 3D platform to produce their line of PLX products, mimicking the environment of the human body for cell production. This cell therapy is developed to provide cell therapy which is easy to use and does not require genetic or tissue matching. Once the therapy is administered, it promotes the body to heal itself in the target area. 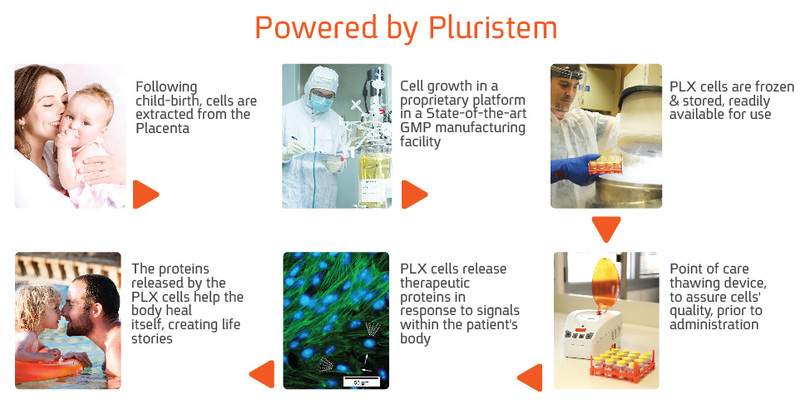 Pluristem products provided regenerative therapy for a variety previously potentially irreversible conditions. Among these is acute radiation syndrome (ARS), which involves irreversible damage to organs and bone marrrow from radiation exposure. Pluristem also aims to provide therapy for vascular conditions such as critical limb ischemia, intermittent claudication, and pulmonary arterial hypertension, all which are dangerous and can lead to decreased life span or surgery. Pluristem is currently in its clinical trial phase, with collaborations with several universities and industry partners, including the NIH. The future of healthcare includes robotics devices which mimic living tissue and may help to target and perform functions with superior accuracy and efficiency of drugs. A 2014 study by Cvetkovic et al. presented the first engineered skeletal muscle machine which moved unattached to any other device. These small soft robotic devices were able to contract and crawl on their own, mimicking the function of skeletal muscle tissue. The shell of the machine is made from hydrogel to encase the tissue. Meanwhile, engineered muscle building cell tissue, along with proteins such as collagen or fibrin were printed on 3D printer and encased in this shell to make the tissue functional. The many systems that need to be coordinated for muscle contraction are difficult enough to just understand, but to be able to engineer something that mimics the function is amazing. For muscle tissue to contract and produce force requires an intense network of neural input and coordination of responsive tissue. There must be enough elasticity in the muscle to produce the force; ultimately the change in length and contraction of muscle tissue produces the force for movement. The tissue must be slightly stretched at all times for potential contraction; but not so far that it loses the ability to contract. This all occurs with electrical cues which send signals to the muscle tissue for contraction. The future of these small biological machines has many implications, as the article explains. Future uses include drug screening, drug delivery, medical implants, and biomimetic machines. Skin is the largest organ in your body. covering more than two square meters. It is also one of the most important and most versatile; it is the first line of defense that we have in immunity, and contains an enormous amount of nerve endings and receptors that help us interact with the outside world; additionally it stretches and regenerates in order to accommodate our every movement. Whether we are responding to temperature, pressure, or a painful stimuli, it is our skin that sends signal to our brain to induce an appropriate response. Without it we are completely vulnerable. Having experience working in a burn unit and seeing the horrible effects of third and fourth degree burns that permanently damage our skin, these are awful injuries that leave someone with deformities, infections, and limited movement. In the world of robotics, as devices become more lifelike and prosthetics advance for limb replacement, they will also require parallel form and function of human features. 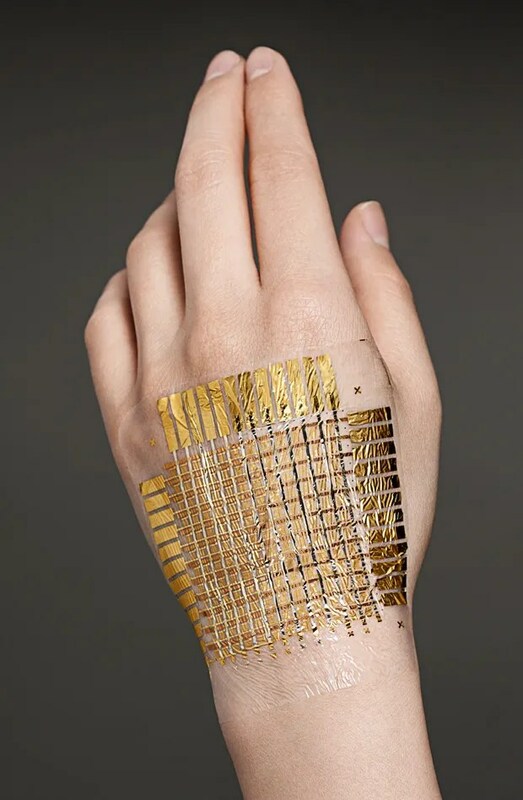 All of this is why, it is so very exciting that at the University of Tokyo, Takao Someya’s lab has been developing an e-skin. This thin, flexible material has been years in the making, containing electronic sensors on a sheet of material that is one tenth as thick as a sheet of plastic wrap. The sensors include both temperature and pressure sensors which all used in the thin interface to conduct signals based on what they sense, just as we are able to do with our own skin. Additionally the material is also able to stretch and conform to varied movements without being damaged. This is all still in the development stage, and not for use outside of the lab just yet, but will be an amazing addition to the growing field of bionics once it is marketed and available for use in both the healthcare and technology fields. Surgery has come a long way with many facilities now using robotics to either assist or replace human tasks. Delicate procedures that require a lot of precision, repetition, and endurance can benefit from the use of such technology. A few years ago, CardioARM was developed for minimally invasive heart surgery. This device resembles a snake, which can travel to the target areas through insertion beneath the sternum and perform ablations of heart tissue that is disturbing heart rhythm. Ablation, meaning the target area of heart is burned away. This procedure replaces the more invasive task of opening the chest cavity and cutting away into your vitals. For anyone who has ever visualized the inside of a body, it is amazing that a device is not only able to navigate but reach a specific area of the heart and perform an ablation on target tissue. CardioARM features 50 links which are connected by cables and can move in a combination of 105 different movements. The device can move forward and reverse, and is headed with a camera and light guide to allow for visualization. Once the CardioARM enters under the xyphoid process (bottom of the sternum), it is directed toward the specific region of troublesome heart tissue. Once it reaches its target, it delivers a “dot to dot” procedure for the ablation. Each lesion is delivered 30 watts of power for 30 seconds. In 2011, this device was first successfully tested in human clinical trials. As it takes a long time for such devices to actually enter hospitals, this will hopefully become an option soon for surgeons dealing with life threatening arrhythmias. As an adult, you are expected to enter situations with a certain composure. Hyperventilating or crying while getting your blood drawn is frowned upon, though many of us naturally have this reaction as someone is prodding our blood vessels, looking to extract the blood our body works so hard to make. 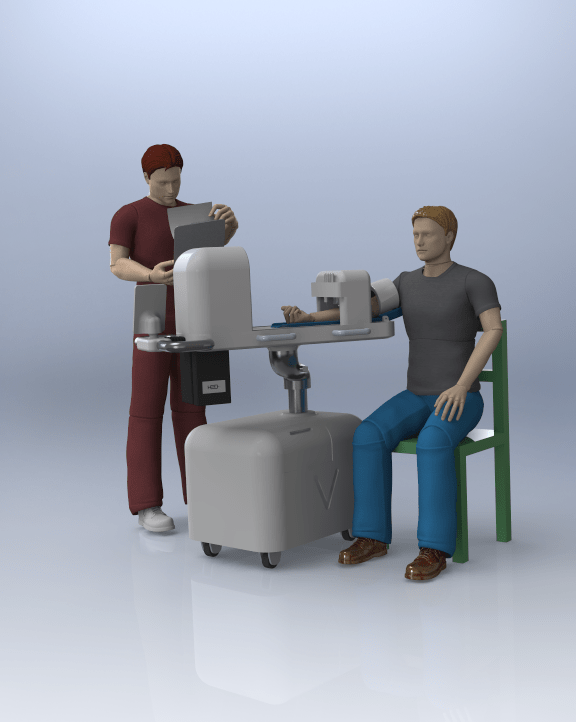 Veebot looks to make this a more efficient, accurate process for predictability and efficiency, which may possible quell the young and not so young when going in for a common blood drawing procedure. According to their website , 20-25% of phlebotomy procedures fail to draw blood on the first stick. That’s 20-25 out of every 100 procedures. Not very efficient. Veebot’s team has developed a robotic devices with a viewing system that identifies and selects the best insertion site. Using lighting and ultrasound viewing techniques, once selected the machine can insert the needle. According to sources, the process takes about a minute. A technician must still be present to oversee the procedure, so to assuage some fears it will not just be you and a needle-sticking robot alone in a room together.